A donation to The Freya Project underscores your belief in the voices of women and non-binary people and the transformative power of storytelling. Our goal, first and foremost, is to build a better world for anyone who identifies as female or non-binary, and to create spaces where loneliness, anxiety, and shame do not exist. We do this by carefully crafting events where we listen and give our full attention to the voices of women and non-binary people; by seeking out meaningful partnerships with our community and the organizations we support; and by giving grants that support the work of Freya Project readers. You're here because you believe in this vision, too. That’s why we’re asking you to make a donation to The Freya Project. With your gift, we can take greater steps towards achieving our goals. 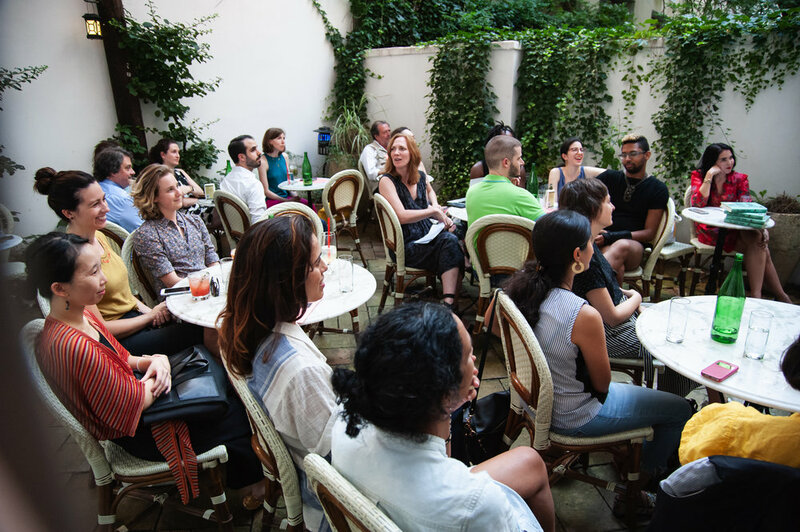 We can host more events that support more organizations, build meaningful partnerships, grow a committed team to support and improve our programming, and sustain the work of writers who are crafting today’s most urgent and important stories. We provide grants and travel stipends to writers across the country — and we want to give opportunity to more writers. We need you to make this happen. We are an actively growing organization. With your help, we can have more frequent events in more places, and grow a team of inspired, dedicated women to bring these events to life. The easiest way to support The Freya Project is to come to one of our inspiring events. 100% of your ticket price supports an organization in need.